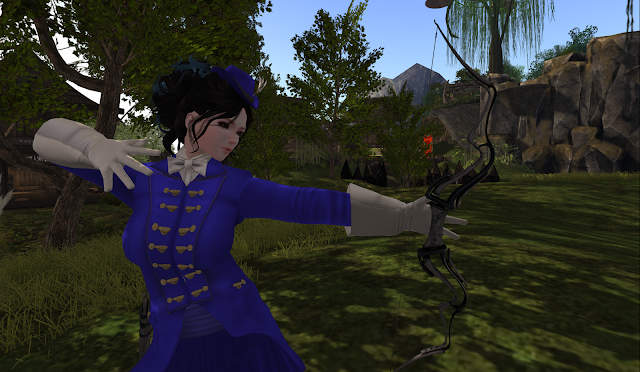 The Tapinder Bow is LR newest bow and it is a showcase at the We Love Roleplay event (and also at a discounted rate). 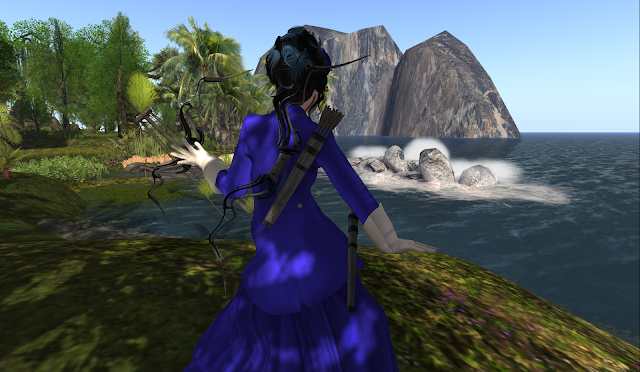 The bow features all the goodies from LR and comes with many predefined actions, HUDs and crosshair too! 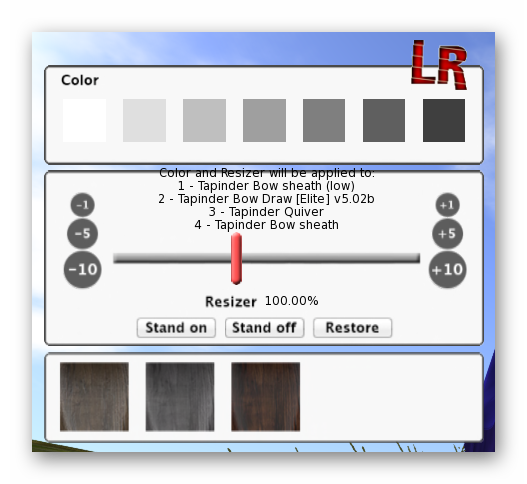 The Tapinder bow can be easily resized and the there is a texture options as well as color to match your preference. As you can see here, the bow is detail, strong and modern looking and definitely light enough even for a lady like Kitty. There are 2 sheathed position for the quiver and the bow rests comfortably on your back out of the way when it is not in use. 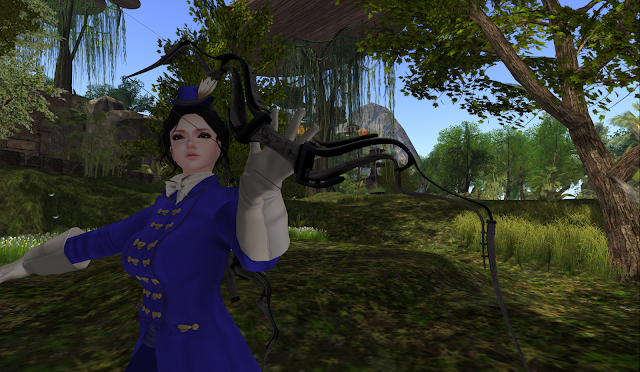 This is a great bow whether it is for fun or serious hunting. 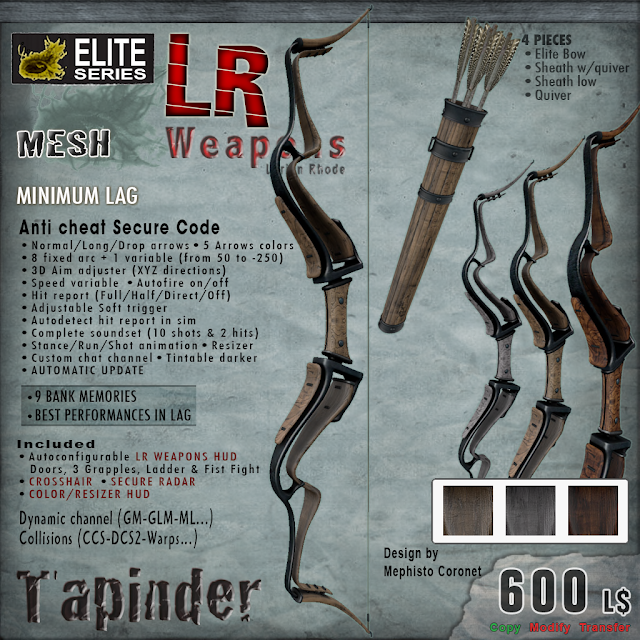 Armed with all the latest technology in low lag as well as anti cheating, you can be sure that when you are holding the Tapinder Bow (or another other modern LR weapons actually), that you are having the best of technology possible to back you on competitions and hunts.